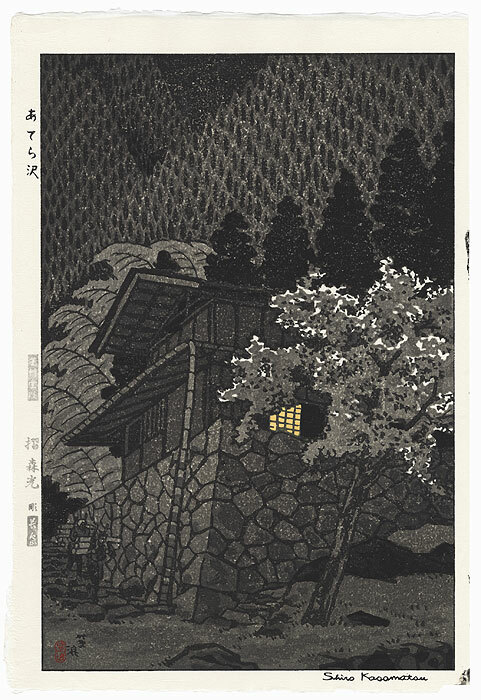 Comments - Intriguing night scene of a house atop a stone embankment at Aterazawa. Warm yellow light glows from a single window as farmers make their way down the steps at left, carrying heavy loads on their backs. 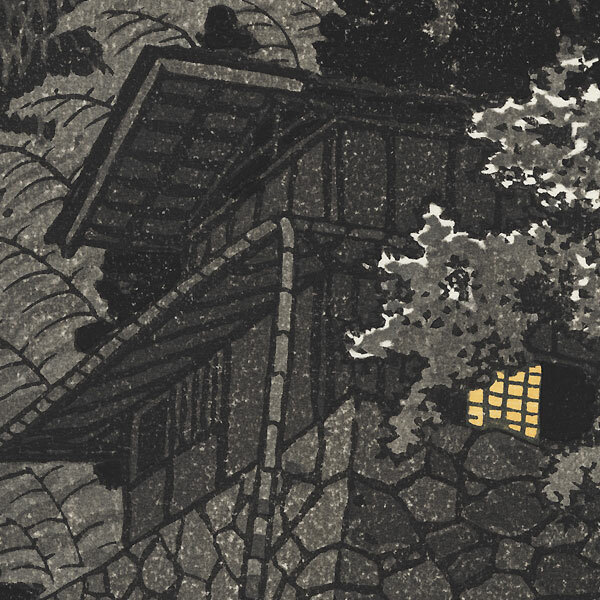 Moonlight plays across the leaves of the tree at right, and mountains covered with pines fill the background, creating an interesting, rhythmic pattern. 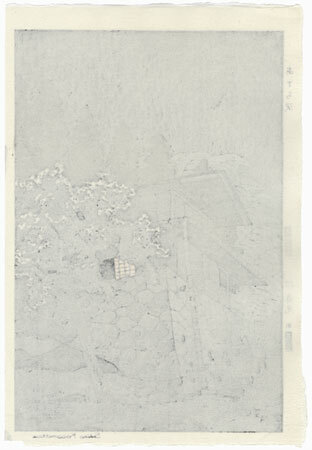 A great shin-hanga design, one we've never before offered.